Home » Downloads » How to Flash or Fix Boot Loop on Galaxy S8 / Plus With Stock ROM Firmware? How to Flash or Fix Boot Loop on Galaxy S8 / Plus With Stock ROM Firmware? In this article we will explain our users, how easily they can Fix Samsung Galaxy S8 / Plus in case it is having issues such as Boot Loop, Not Booting Up, Downgrade, Unroot and any software related issue. Most of the times these issues are fixed by Flashing the Stock ROM Firmware. 1. Enable ‘USB debugging’ and ‘OEM Unlock’ options from Settings> Developer Options>. In order to Enable Developer Options, navigate to About phone & tap on Build Number 7 times. 2. Download Galaxy S8 and Galaxy S8+ Stock Firmware with Android 7.0 Nougat. 3. Download the Odin tool on your Windows PC and extract the zip file. 4. You have to Run Odin_vxx.exe file on your Windows PC. 5. Make sure to install Drivers for Samsung Galaxy S8 / Plus on your PC then connect Galaxy S8 / Plus with PC via the data cable and reboot into the Download/Odin mode. 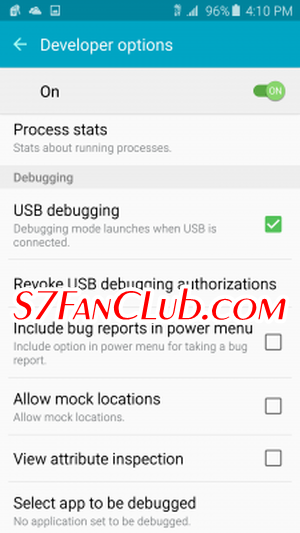 How To Enter into Galaxy S8 / Plus Download Mode? 6. The process to enter into Download Mode of Galaxy S8 / Plus is really simple. First turn off your phone and press and hold the Bixby and volume down buttons, along with that press the power button. Until you see the download mode screen on your Galaxy S8 / Plus. 7. Once you will enter into Download mode on your Galaxy S8 / Plus, you will see an ID: COM port turned blue and Added message in Odin Log box that means your device has been successfully recognized by Odin. 8. If ID: COM doesn’t show means your driver is not correctly installed or try it with different USB cable or different USB port, prefer the back side ports of your PC. 9. Now locate and add the stock ROM firmware file .tar or .md5 file for Galaxy S8 / Plus (you downloaded from above) to the AP/PDA tab in Odin. 11. Pushing the Start button will start the flashing process on your Galaxy S8 / Plus. This process will take 10 – 15 minutes, depending upon the speed of your system. Wait until you see ‘Pass‘ in Green Color on Odin screen. This step will indicate that Stock ROM Firmware on your Galaxy S8 and S8+ has been successfully flashed.